At Monet’s time, only white water lilies grew wild in France. They were hardy flowers, able to stand cold and frost, whereas pink or yellow water lilies were of exotic origin and needed a warm greenhouse to spend the winter. When Monet created his water garden at Giverny and imagined a pond with floating islands of colorful nympheas, these flowers where very modern. By the end of the nineteen century a man called Bory Latour-Marliac had the idea of cross fertilizing hardy white water lilies with exotic ones. He was successful and obtained a full palette of hardy waterlilies. In 1889, the year of the Eiffel tower, Latour-Marliac exhibited his new creations at the Universal Exhibition in Paris, where Monet saw them. 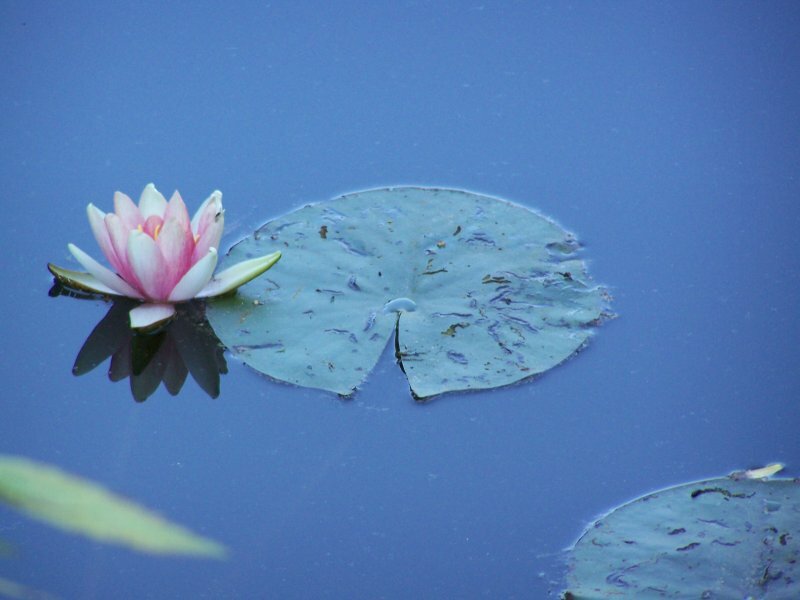 Four years before he had his pond dug he conceived the idea of it by seeing the beautiful water flowers. Would Latour-Marliac not have created his flowers, Monet would probably not have painted his Nympheas masterpieces.